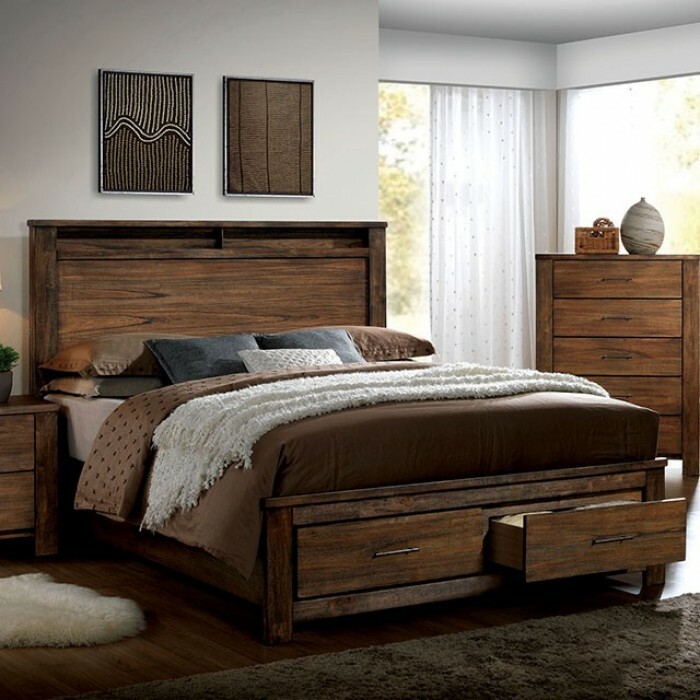 Add some depth and dimension to your bedroom area with this nature-themed collection. 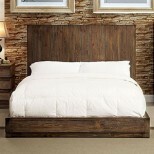 A cabin-like inspiration is evident throughout these bedroom pieces with its natural wood grain finish. 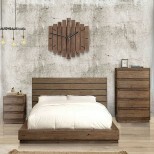 The case goods allow for storage of bedroom items paired with the matching headboard that features built-in shelves, continuing the theme of convenience and style.